My first speaking experience was back in 1992 when, as a United States Marine, I was invited to speak to a high school audience. I will never forget the rush it gave me—what a fantastic feeling! The opportunity presented itself several more times before my honorable discharge in 1994, and I was able to speak at other high schools in Florida. I hadn’t even realized that being a speaker could be a profession at that point. Following my discharge, I moved back to New Hampshire and began a career as a high school teacher and coach at Hollis-Brookline High School making forty-one dollars a day and loving it. But when our school invited a speaker one day, I was surprised to hear that they received payment for their services. What a great profession to be in! I pursued this new endeavor wholeheartedly. Filling my free time with listening to and observing speakers such as Les Brown, Lou Holtz, Jimmy Valvano, and Tony Robbins, I studied their techniques. I became a source of amusement to my roommates as I ironed my shirts while listening to these speakers on the VCR in my single room. Beyond the shadow of a doubt, I knew that I wanted to be a professional speaker. Learning about Toastmasters, I joined that group. Then I became aware of the New England Speakers Association and attended a meeting where the speakers were Ray Pellatier and W. Mitchell. I was totally intrigued. I remember being overcome with emotion when I heard those two speakers and my eyes filling with tears as I became even more convinced that this was where I was supposed to be. That same year, the New England Speakers Association awarded me an all-expenses-paid trip to the National Speakers Convention in Anaheim, California. This amazing experience left me determined to earn my CSP—and I achieved it, walking across the stage in 2002 in Dallas, Texas, to receive my CSP designation. Then I was able to start giving back to New England Speakers and the National Speakers Association. It was a privilege to give back for all those that had given to me. As a success story within the National Speakers Association, I had earned the respect and friendship of many. My career blossomed as I spoke at every opportunity to audiences in any part of the United States and Canada—150 days a year. Nothing was going to hold me back from reaching my goal of being the very best. I wanted to be the best storyteller, funniest speaker, most compassionate and passionate speaker ever — absolutely ever! No one could tell me that education and schools didn’t pay because I could prove otherwise. They paid me and I loved it. But then my ego got the best of me, and my life came crashing down around me in the year of 2004. Feeling my life was ruined, I wanted to give up on speaking and nearly gave up on life itself. And what had brought me to that point of despair? I had done the unspeakable; I had broken the code. It’s an unspoken code of ethics; never steal another person’s story—not even part of it. That is the fear that every professional speaker has after they’ve worked so hard crafting their brand and delivering their message using stories that have become their signature stories—the stories they’re known for. But I did exactly that, and I’ve paid the price losing many friendships and much respect from many of the professional speakers in NSA. Like an unwelcome recording, that dreaded phone call replays through my mind. I was in Rapid City, South Dakota, ready to catch a flight home when my cell phone rang. My stomach sank as Mark Scharenbroich rebuked me, telling me how I had wronged him, his family, and his clients and how disappointed he was in me. I didn’t deny it—didn’t even have the chance. I was honest and truthful, but there was no good reason to justify my actions. That flight home seemed never ending. I had done someone a terrible wrong, and I had been caught. I was ready to quit, to just walk away. I had done the unthinkable, not just stealing another speaker’s story, but stealing his signature story and making it my own. That’s what every speaker fears someone will do! The integrity of my CSP, which I had worked so hard to earn, was now something I no longer felt I deserved. My hope in sharing this story is that it will spare others from making the same mistake. I cannot stress enough the responsibility we all have for the integrity of our professions. Consequences follow every action, and sometimes they are huge and irreversible. Years of hard work put into crafting my message and brand were wasted by my thoughtless action towards another speaker. I have never felt so rejected and alone. Repeatedly, other speakers called asking if it was true, and I never tried to deny it. Unsure of my welcome there, I’ve never returned to NSA. Mark Scharenbroich was the greatest speaker I’d ever heard. In my desire to be him—funny, real, and compassionate—I lost sight of the integrity of my profession. I wanted to be the one that can stand in one spot and move an audience from laughter to tears with just a couple of words or gestures. I wanted to be “that guy!” Lacking confidence in myself and my own abilities, I decided that I needed to become Mark because he was that guy that I longed to be. Being the epitome of what this profession is all about, he is a gentleman and a professional, a man’s man, father, husband, and legend in his profession and the one we all look up to and admire for his hard work and brilliance on the platform. So I thought I needed to become Mark. Instead, I became the one that many talk about, but unfavorably; it was hardly what I had hoped for. I had done something wrong and thought I could get away with it. I was not where I needed to be in a profession of true professionals. Ignored were the character and integrity that the United States Marine Corps had instilled in me while serving my country. Because I faced the truth with myself and made every effort to right the wrong, my career has continued to be a blessing. But although my career and I as a speaker have changed for the better, that doesn’t mean that I don’t have to deal with an everlasting pain in my heart from the disservice I’ve done Mark, the profession, and NSA. When I humbly asked for forgiveness, Mark Scharenbroich, like the gentleman that he is, not only extended forgiveness but gave me his blessings. Ten years later, even though Mark and I have both moved on, my past action continues to have an impact on my life. There are still many who won’t talk to me. The emotional pain and the loss of friendships are not worth the few moments of victory that come with stealing another man’s glory. By trying to become Mark, I failed at becoming the very thing I wanted to be. I couldn’t be the best by parroting someone else. We can never step into another person’s shoes and truly become them. By attempting to become someone that we are not, we dishonor that person and our profession. We can strive to improve and be our very best, but we lose when we try to become someone other than who we were meant to be. Even though God has granted me forgiveness and I’ve forgiven myself and have made it right with Mark, there are still consequences from my actions that I am suffering. Despite being truly sorry, some mistakes cannot be undone. As a group of professionals, we need to listen to our own words and “Learn to forgive as quickly as we judge!” But, in reality, that doesn’t happen so easily. Being part of a small network of speaking professionals, there is a code of honor to follow and respect to be given which should never be broken. Stepping across that line brings pain and loss of friends and relationships—sometimes even career loss. A person may find himself looking back regretfully on a pointless mistake. Forever, I will regret what I did. Once again, I apologize with all sincerity to Mr. Scharenbroich, his family, his clients, to all professional speakers, and to NSA. I pray for forgiveness and hope that I could be welcomed back to NSA, and I pray that others can learn from my mistake and move forward in the speaking profession with the utmost integrity. 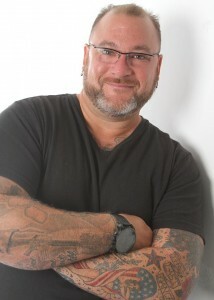 * Jeff Yalden for 23 years has been a Youth Motivational Speaker, A Family & Teen Communicator, a Teen Author, and hosts his own Radio Show – The Jeff Yalden Show. He has traveled the world speaking to teenagers, families, communities and has helped millions of people with his simple, yet profound message of life, love, and self respect. Jeff is a Mental Health Expert and passionate about helping teens, parents, families, and educators deal with teen depression, teen mental health, and teen suicide. Contact Jeff at www.JeffYalden.com. You can also visit his website for teens who are depressed and considering suicide at www.NotTheSolution.com. ** If you are interested in pursuing a career in the Speaking Profession, please visit www.SpeakFullTime.com and consider working with Jeff – Earn $2,000 to $10,000 a Day as a Professional Speaker. I’m an Air Force Veteran beginning to enter into a profession speaking career and hoping to inspire the youth of today to pursue a career in aviation. I appreciate your humility and honesty. This is a great lesson for me to hear as I begin speaking. Thank you for sharing about your failure so we all can learn from it, too! Hi Erin, I too am a pilot. Please visit my website http://www.SpeakFullTime.com.